Cooking meal in microwave sounds so easy and simple, just to out meal inside the microwave oven and then press the button. Using microwave for cooking will not heat up the kitchen there will be no suffocation and it is believed that more nutrition’s can be reserved by micro. Vegetables, brownies got the best texture and taste when cooked in microwave oven. However, it is suggested that by following the simple tips you will become a cooking expert within a few time. These tips must help one to knows that how to use microwave oven for cooking recipes or baking, this all info is not in Urdu but its easy to understand. 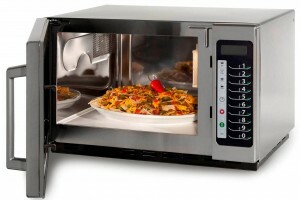 Every micro oven recipe has its own standing time that varies from dish to dish. The dish should be placed at the center of oven so that maximum amount of heat is preserve that helps in cooking. This time helps to spread the heat and allows the food temperature to moderate and stabilize. Moreover, also helps the food to cook. Moreover, every food is cooked differently may start at room temperature or at refrigerator temperature. Like if anyone wants to cook the frozen items the standing time will automatically change that may affect the quality of the recipe. It is argued that that the standing time of cooking items are directly related to the food amount. If the quantity of food is double then the cooking time and the standing time will also get increase by double. For instance, the boiling time of one potato is 5-7 min while three potatoes take 8-10 minutes to be boiled. However, food having the same shape and size will finish cooking at the same time and will be cooked evenly. Food with thin and thick sections should be arranged properly so that the thin section must be placed at the center of the dish. In addition, during cooking some food like large vegetables or meat must be turned over or rearrange or turned over, as in the corners or sides will receive more heat so the solid food should be rearranged and turned for well good cooking. For good cooked food it is suggested that during cooking time, several microwave recipes needs stirring, so stir the food at least once. Stirring the food helps to reallocate the heat to whole food evenly. For fast and even cooking, cover the food with the waxed paper or safe plastic so that it holds the steam inside. Shield can be use to cover those areas of food when there are chances that food may burn so the small pieces of foil can be used and place these pieces one inch away to avoid arcing. 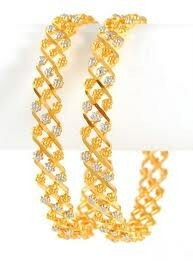 So try to shield the thinner pieces of food and meat bones. And it can be dangerous for life if anyone try to use oven without closing the door. Always use the microwave oven by closing the door. And always place the food at the center of the plate so that it receives more heat. Hope these simple tips help you in cooking yummy food!